Tree Removal & Tree Trimming - Call Nard's Tree Service Today! Nard’s Tree Service specializes in tree removal of all types and sizes. 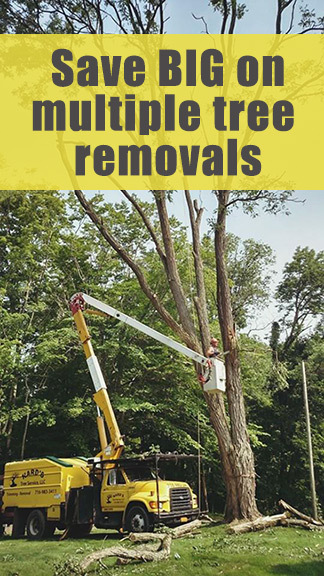 You also save BIG on multiple tree removals. We specialize in dead or dangerous tree removal and make sure that your house, vehicles, family, and friends are safe from potentially dangerous situations. Let your landscape shine. Sick looking trees with dead branches detract from your home’s appearance. Proper tree trimming and pruning will help your trees grow healthy and productive. 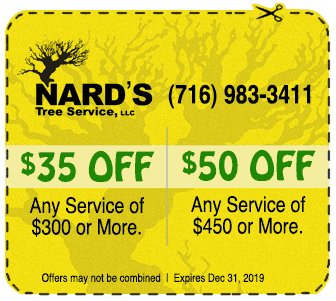 Your trees are in good hands with Nard’s Tree Service LLC!